1. 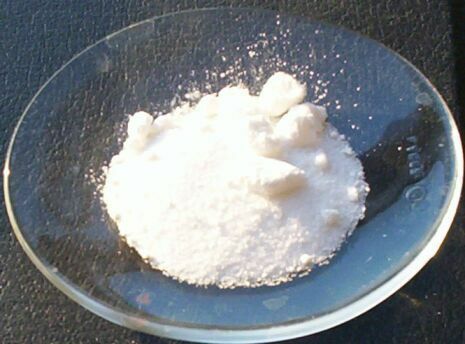 Description & solubility Small, colourless crystals or white powder. 2. Solubility Slightly soluble in water and in glycerin, freely soluble in acetone, in alcohol, in ether and in propylene glycol. 5. Acidity Dissolve 1.0 g in sufficient ethanol (96%) to produce 10 ml. To 2 ml of the solution add 3 ml of ethanol (96%), 5 ml of carbon dioxide-free water and 0.1 ml of Bromocresol green solution .Not more than 0.1 ml of 0.1 N sodium hydroxide VS is required to change the colour of the solution to blue. 6. Loss on drying,w/w Not more than 0.5 %. 7. Residue on ignition Not more than 0.05 %. 8. Organic volatile impurities Method IV <467> meets the requirements.